Cake Byte: Sweet News from Cakespy! Sweet Stamps! Our own Head Spy Jessie recently collaborated with Taylored Expressions, a California-based rubber stamp company, to create several sets of rubber stamps! The first three sets, with Halloween and Birthday themes, are making their debut today: Frightful Night, Trick or Sweet, and Sweet Celebration. It was a fantastic experience, and the stamps came out so cute! 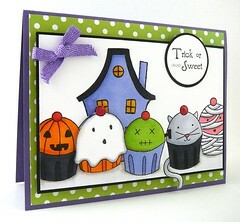 Now you, too, can create your own cupcake cards and craft projects using these adorable stamps! 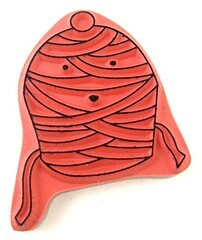 Each set of unmounted, deeply etched, pink rubber stamps retails for $21.95. To see some of the projects others have made with the stamps, check out tayloredexpressions.blogspot.com; to purchase the stamp sets, visit tayloredexpressions.com! Going to Chicago and Milwaukee! 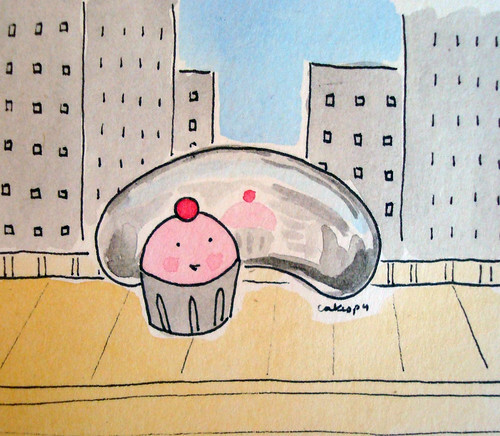 Next week Cakespy will be headed to Chicago and Milwaukee...deliciousness is bound to follow! Stay tuned for upcoming roundups of all the sweet stuff we discover--and feel free to pass on suggestions! 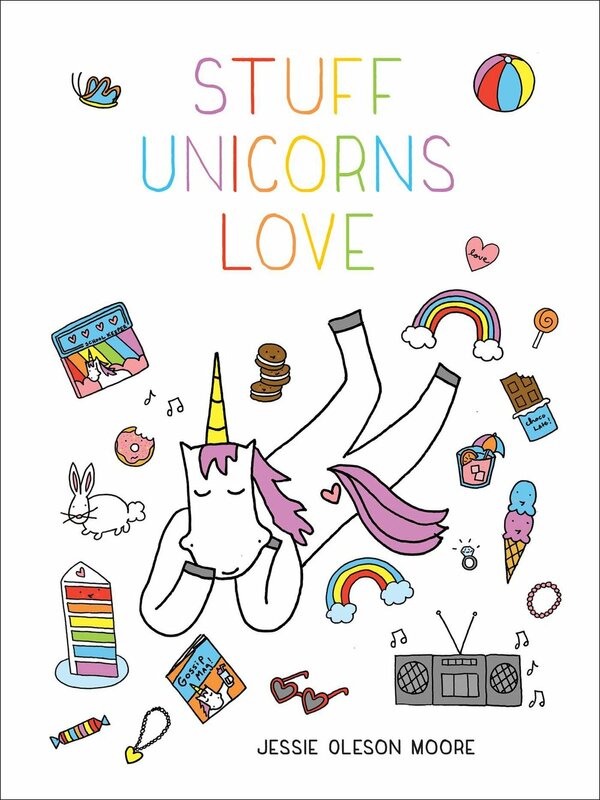 Totally Sweet! Finally, longtime Cakespy reader and supporter Sue Scara of Piscataway, NJ, is living the sweet life indeed: her recipe for Bubbe's Apple Cake is a finalist for an upcoming "Spreading Smucker's Traditions" contest! Starting September 8, vote for her recipe (below) at smuckers.com! Begin by preheating oven to 350 degrees. Grease an 8” square baking pan. Combine the flour, baking powder and salt together in a mixing bowl. Give dry ingredients a stir and set the bowl aside. In another bowl, combine apple slices, Smucker’s Red Plum jam and lemon juice. Mix up so that apples are coated in jam and lemon juice. Set aside. Beat the eggs well, either with electric beater on medium, or vigorously by hand. Gradually add sugar and beat (about 2 min. ), or mix by hand, till mixture is almost fluffy. Add oil and vanilla and almond extracts, and continue to beat and scrape side of bowl till all is combined. Next, mix in the flour mixture (if using electric beater, reduce speed to low). Mix short time more till batter is blended to uniform color and consistency. Take just half of the batter and spread evenly in the baking pan. Next, cover the layer of batter with the apple and jam mixture. Then spread the remaining half of the batter over the apples. Give a light shake or two of cinnamon over the surface of the cake. Bake on the center rack till golden (approximately one hour). After removing from oven, let the cake cool. Cut into squares and serve.